Selecting the right UHF RFID Reader for your application is of the utmost importance. Not only is the RFID reader the brain of the RFID system, but each reader has its own unique features that should be considered before being deploying an RFID system. Each country has its own regulations governing UHF RFID transmissions and, when deploying an RFID system, it essential to select an RFID reader that will operate within the bounds of the given country’s regulations. If a reader is set to transmit within the 902-928 MHz bandwidth in a country that has standardized the 865-868 MHz bandwidth for RFID use, then it will be in violation of the local frequency regulations. Learn more about UHF RFID Frequency Regulations. The amount of read zones/read points required will vary by application, and the ability to extend read zones and/or add more read points depends on the number of RFID antennas that are deployed. The number of antennas that can be deployed is directly related to the number of antennas that a reader can support; thus, the number of antenna ports available on the reader needs to be considered during the selection process. 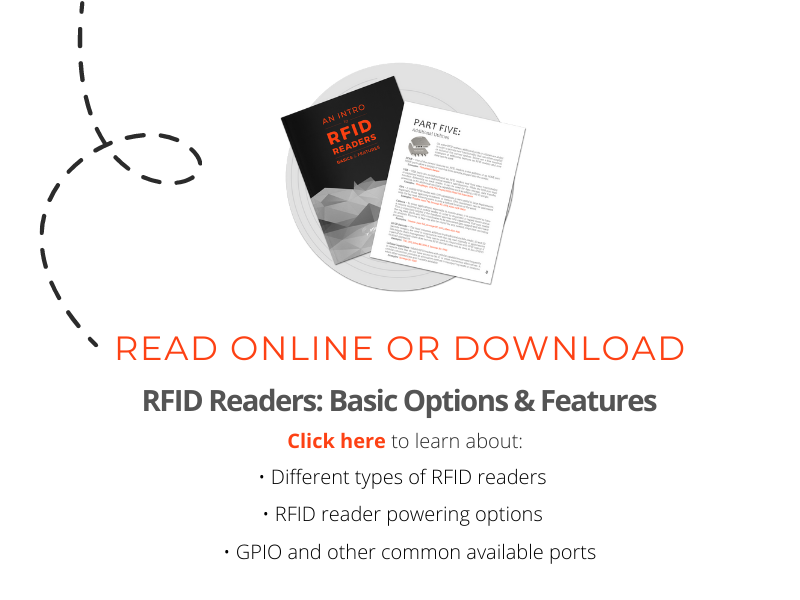 Readers typically come in 2-port, 4-port, or 8-port options, but some readers have the ability to utilize multiplexers to expand and support up to 32 RFID antennas. (Of note, communicating solely via a USB port is a feature restricted to USB RFID readers). If the application requires that the RFID reader will reside on a network, either Ethernet or Wi-Fi can be used. Using these two methods of communication will allow the RFID system to communicate via a network and the information collected can be accessed by as many other systems as your system design and software allows. Using an RFID system over a network may also help to reduce overall system costs if you have a multiple reader set-up as you won’t require a host computer for each reader. If you have any questions regarding selecting the right RFID reader for your application or if you need more information, do not hesitate to contact us or leave a comment below.